Joann, tell us a little about JoChas Moving & Delivery. 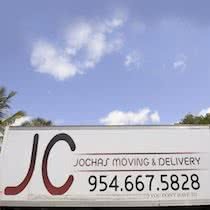 "JoChas Moving is not just a moving company. We’re a family-oriented company. My son started it in 2005 after he left the NFL." "He started it right in the dining room area of my home and now we’re in five locations serving all of South Florida. The name JoChas was created from my name, which is Joann, and my son’s name, Charles. Both my sons were in the NFL, and we all now work with the company." "Our primary focus is to provide the best customer service, from the moment someone calls until the last item is delivered. Being the mother of this company, I like to be right there, hands-on with our customers, making sure that all their needs are met." What triggered your need for a loan? "We’ve worked with National Funding twice now. The first time, it was very important that we get our first truck paid off, and we also used the loan for tax purposes. Our second loan helped us to purchase more supplies." Curtis, how has National Funding helped? "Ever since getting the loan, we’ve been able to expand the number of trucks we have on the road." "My brother started the company with a Tahoe truck and a trailer on the back in the Fort Lauderdale location. We now have seven trucks with five locations throughout South Florida. The growth of the company has far exceeded anybody’s expectations." "You can only imagine how expensive those trucks are to have and maintain. Now we’re able to have the funds to do so. We’re so grateful for partnering with National Funding." What is it like to work with National Funding? "It was a delightful experience. They listened, and they let me know that they cared about what I was saying." "I went to our bank for a loan, but they wouldn’t give us a chance. National Funding was willing to take a risk. Our first financing was very easy. 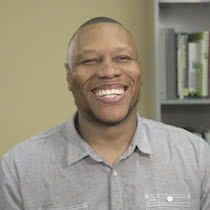 They needed 3 months of bank statements and our income tax return, and the next thing I knew, they said ‘Joann, what account do you want your funds to go into?’ It was even easier the second time." "We may be a small fish in the big pond here, but they made me feel very special. I’m looking forward to many, many years of funding relationships with National Funding. And I highly recommend National Funding to anyone, big or small." How can National Funding Help you?